I used to spend hours playing PacMan at our local pizza parlor when I was a kid. I even went so far as to make an ode to the yellow guy in pancake. 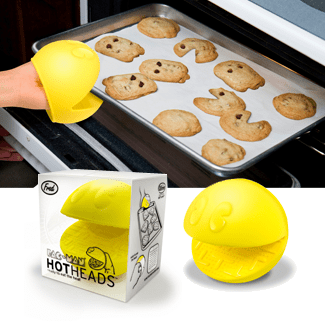 Now you can use a silicone PacMan to protect your fingers by gobbling up heat. The inside of his mouth even has impressions of the game board. This would make a perfect housewarming present. 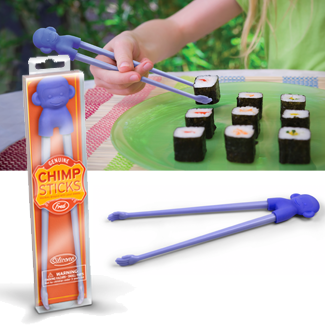 Another handy item I found are these Chimpsticks. When we have Japanese food, Geekette always wants to use chop sticks but has yet to master them. Chimpsticks are attached at the top so you don’t have to worry about holding them together and they have flattened paws at the end to help grip the food. Genius! 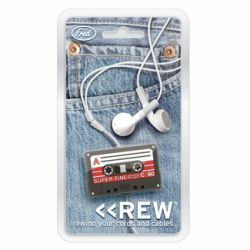 Remember cassette tapes? While they have pretty much gone the way of the dinosaurs, someone has found a new use for them: a headphone spooler. These are so retro and would make a great gift for someone who has everything. 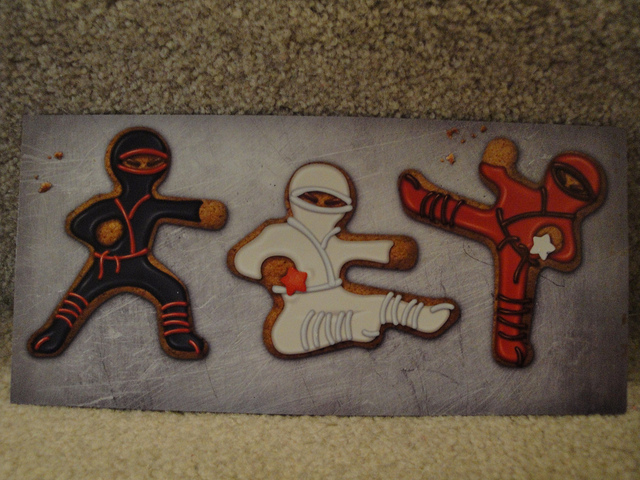 My favorite item, and something I am definitely adding to my wish list, is the Ninjabread Men Cookie Cutters. These are awesome! You can do ninjas for birthday parties or karate chopping gingerbread men for the holidays. I’m With Cupcake is just getting started but given all of the cool, geeky things they have now I can’t wait to see what else they come up with. My daughter loves Karate Kid and I can see my son wanting a ninja party at some point so I for one will be getting a set of those cookie cutters. Drop by and check them out.